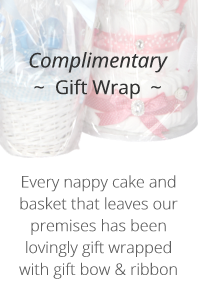 Nappy Cake Ingredients: Fully Loaded with Newborn 6-13lbs Ultra Dry Disposable Nappies Derma..
We have a wide range of baby girl Nappy Cakes to suit all budgets if you are looking for something a little different the nappy cake is the perfect gift for a new arrival. 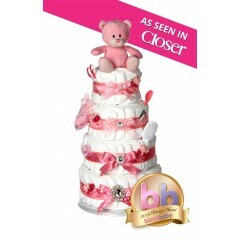 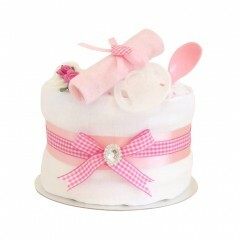 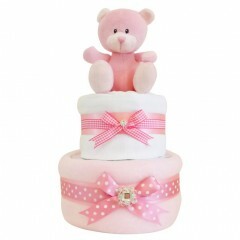 Baby Shower Nappy Cakes are a very popular gift and make a fantastic centrepiece for the special occasion. 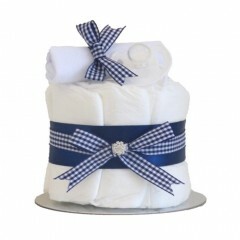 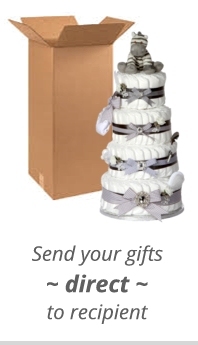 We have Nappy Cakes available in various sizes to suit all budgets and in a wide variety of colours. 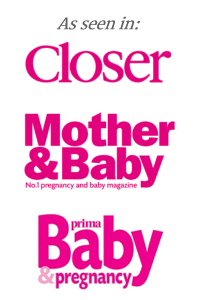 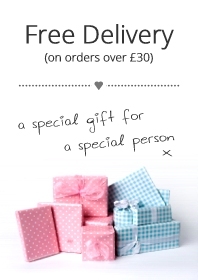 So if you are after a small gift from yourself or if you're clubbing together as a group, our designs make an ideal present to give as a pregnancy gift at a baby shower or as a gift for a colleague that is leaving work to go on maternity leave. 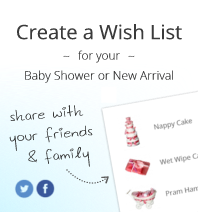 Give your friend or family member a baby shower to remember with a prefect newborn baby gift.